Bonus Hour added to your Hire! What is this crazy offer? Book with us we will give you an extra hour free on all 4 or 5 hour hire! We are giving you extra time, so you can save! For a limited time only, please mention this ad for it to apply and check to see if we are available for your event date. That is a great offer so contact us if you want to have the best party, wedding or corporate function! * For this offer to apply there is a minimum booking of 4 hours. 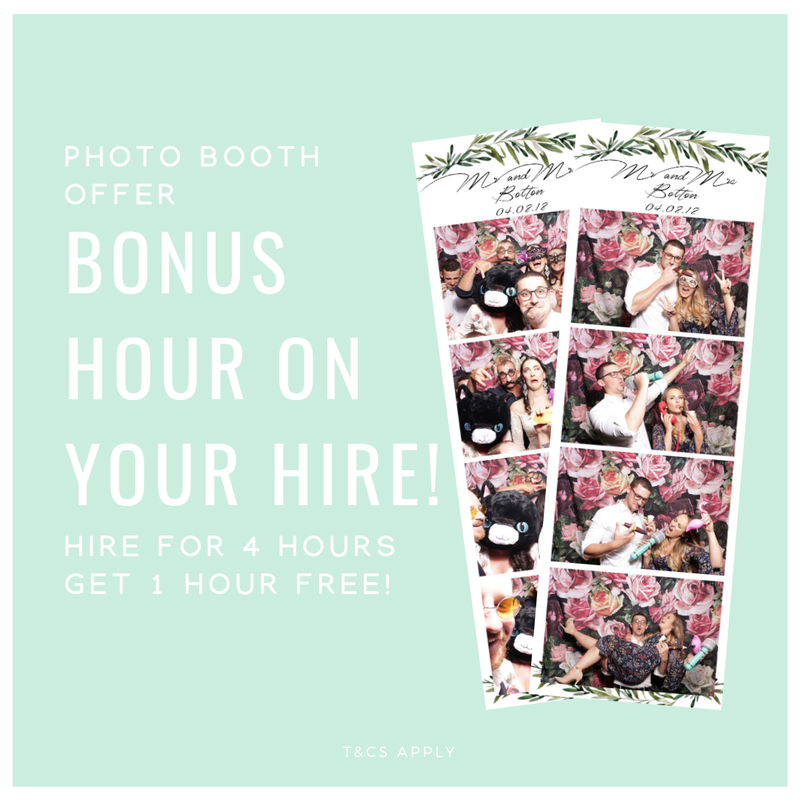 Bonus hour will be applied to any of our photo booth hire packages provided they are 4 hour hires and above. Exclude Budget GIF Photo Booth Packages. Offer expires 26th January 2019. Please check for availability, as we may already be booked and may not be able to offer this bonus for your event date. It may not be used in conjunction with any other offer and excludes public holidays. Discount applies to full priced items only. To receive the offer we require a $300 booking fee within the sale period to lock your date in and it must be paid before 1st February. To receive this offer you must mention this ad and offer. This offer is for New customers only. For iShoot Photobooth’s full terms and conditions please call us.